If you’re in Melbourne or Sydney take the family to a show that will have everybody laughing a deep ho ho ho this silly season. 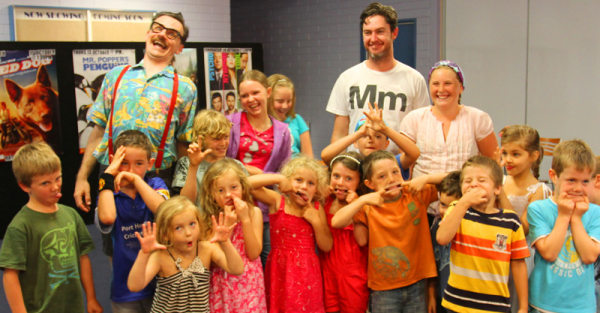 The Listies are renowned for their energetic gross-out comedy that kids just adore. This way to fun! The Listies are the comedy duo of Richard Higgins and Matthew Kelly. These two have earned themselves a reputation for creating hilarious theatre shows for kids full of DIY props, crazy antics, and outrageously fun, juvenile comedy. Yes, these guys won’t shy away from a poo joke or two… or three, but that is what makes them so beloved by young audiences. Hot on the heels of their success at the Melbourne International Comedy Festival and the Listies in 6D show, The Listies Ruin Xmas is sure to be a cracker (pun intended). Full of all the classy comedy that kids just love like poo jokes, vomit, and interactive mayhem. The Listies Ruin Xmas is now playing at the Malthouse Theatre in Melbourne until 13 December, 2015 and at the Sydney Opera House from 16-24 December, 2015.